There is nothing quite like a £20m ($30m) cyber heist to focus the minds of the banking industry. The recent news from the UK’s National Crime Agency (NCA) that the Dridex malware (also known as Bugat and Cridex) enabled criminals to steal millions of pounds from UK bank accounts has done little to instil confidence. But what’s new? This is the latest in a list of recent hits on banks. In July RBS and NatWest were attacked, while in February this year security firm Kaspersky revealed a $1bn cyber heist involving over 100 banks across 30 countries. What is notable here is the cross border and agency support to fight criminals. There is increasingly a concerted effort to confront the on-going challenges of cyber fraud and theft but it will always be a cat and mouse game. 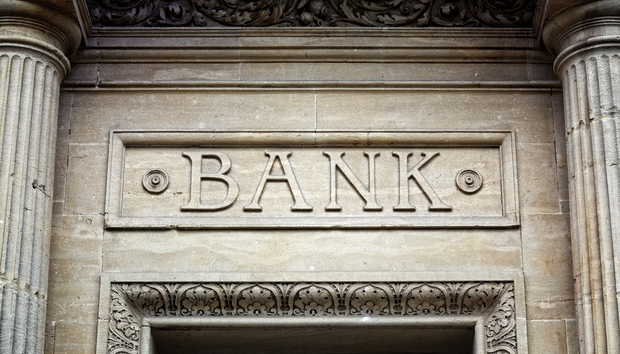 For the banking industry it’s a no brainer. The value of digitisation far outweighs the threat of cybercrime but could this also be its undoing? Banks and credit card companies have in effect created the conditions for digital payments. They’ve persevered through R&D investment and endless trials of various payment technologies, including in the early noughties using RFID (which eventually became the standard for contactless cards) but also in some instances infrared and Bluetooth. In those early days NFC was in its infancy and no financial organisation outside of Japan and Singapore would entertain the idea of mobile related payments. The most banks have ever really achieved is to develop apps for ecosystems such as Apple and Android, mobile versions of their existing web-based account access. It’s taken technology companies to really make the leap forward, finding solutions to overcome security concerns while ensuring the user experience is not compromised. Not that the banks can particularly be blamed. Culturally conservative in their nature, they have quite rightly played safe with our money. But it is that very position of always following the digital technology innovators that will eventually lead to risk. Have banks really understood the mood of customers? Have they taken too much for granted? At the same event, Chris Brindley, managing director of regional banking at Metro Bank suggested that a lack of understanding of the customer needs was inhibiting banks’ in their pursuit of digital services. The issue hasn’t escaped the attention of Deloitte either. The global tax and accountancy consultancy released a report in September claiming that European retail banks are in for a rough ride. It claims that opening up the payments market through regulatory changes (due to come into force in December this year) will enable “agile and innovative non-bank players to offer new payment initiation services, without having to own an infrastructure of bank branches, accept deposits or provide processing capacity.” This non-bank payment opportunity could be worth as much as €22bn by 2030 it says. So who will challenge the banks? The obvious candidates are Apple and Google. As well as developing payment initiation technology they have brand loyalty. How many of the world’s top banks rank among the various lists of brand loyalty? This one from Brand Finance has Apple, Samsung and Google in its top three. Interbrand’s list puts Apple, Google and Coca Cola in the top three. Banks are conspicuous in their absence. Although these payment technologies still need to be linked to existing banking cards, how long will that last? PayPal has already shown what is possible if there is enough consumer pull. And even if the likes of Google and Apple don’t want to re-invent the bank they could afford to buy one. After all they are two of the largest companies in the world. The potential for disruption is huge and banks will have to react quickly. As Connolly at the MCA Think Tank says, the trick will be to get ahead of the curve, anticipate the demands of future customers and plan for change. Yes but it will take more than wisdom. Banks will need to remove the shackles of conservatism too and that will be much more difficult. By the time they realise this, it could be too late.